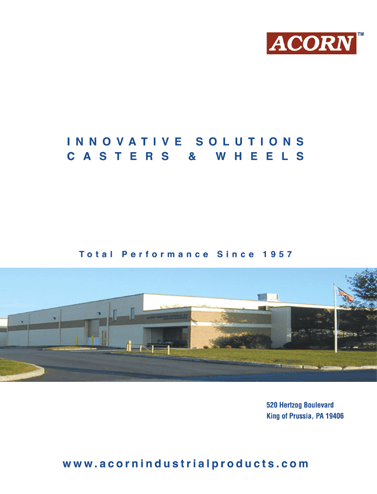 The core to our success is a steadfast commitment to match the right precision wheel and caster to the application. In that pursuit, Acorn™ not only stocks the best products available but continues to pioneer the industry with innovations like our Nylacron™ precision wheels mounted in stainless steel precision casters. When your equipment is riding on casters, don't risk it with anything less than Acorn™ precision rigs and wheels. Acorn™ is committed to providing quality products and service. Contact us at 800-523-5474 for an in-plant survey or click the button below to send a contact request online. Looking for Our Previous Website?